Miron Construction Co., Inc. recently announced the promotion of Brian Athey to Director of Construction Innovation. As a registered architect with 25 years of design and construction experience, Brian focuses on the communication, collaboration, and continuous improvement aspects of virtual construction with clients, design partners, and subcontractors throughout the design and construction phases. He is also very involved in the research, implementation, and training of new processes and technology, always advancing innovations for the greater good of the industry. 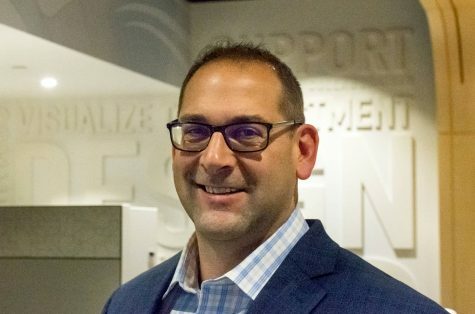 In addition to his career at Miron, Brian serves as an adjunct instructor at Fox Valley Technical College, where he has taught Integrated Construction Technologies since 2015, educating future project managers on the basics of Building Information Modeling (BIM). He is also an officer for the Northeast Wisconsin Chapter of AIA Wisconsin and serves on Northeast Wisconsin Technical College’s Architectural Technologies Advisory Board. He holds an associate degree in Architectural Studies from Northeast Wisconsin Technical College and is a LEED Green Associate. Prior to his new role, Brian served as a virtual construction specialist at Miron for five years.